Description of one of the main characters: Dickon is a good lad. He is a lover of nature. He is friendly with animals. Whom I like and Why: I like Mary Lenox as she is a thin cute girl. She became healthier and stronger because of the wind from the moor. Whom I dislike and Why: I dislike Colin because he always cried and shouted during the night. He is a hunchback. He is often ill and sick. He never talks with anyone. Setting/Theme of the story : A mean tempered girl, Mary Lenox, is sent from India to England to live with her uncle, Mr. Archibald Craven. In Yorkshire, she finds a hidden garden locked up. She finds the key and opens it. With the help of a local boy, Dickon, Mary Lenox begins to work in the garden to bring it back to life. In return, the secret garden changes her and whoever entered it for better. 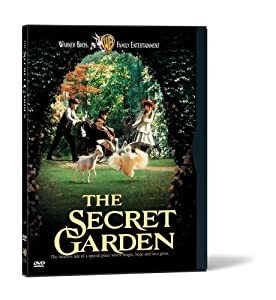 The Part I enjoyed the most : I enjoyed the part when Mary Lenox found the secret garden and worked on it to make it bloom again. She and Dickon started working hard to make the place look beautiful. Mary was happy gardening with Dickon. A different ending: Mary Lenox gardened and made it blossom. Dickon started to bring many animals and birds to the garden. Mary and Dickon decided to have the secret garden as the home of the animals. But soon, Mr. Archibald Craven and the other people came to know about it and now it was no more a secret garden.